Vincent Ethier / Eye of the Tiger Management. 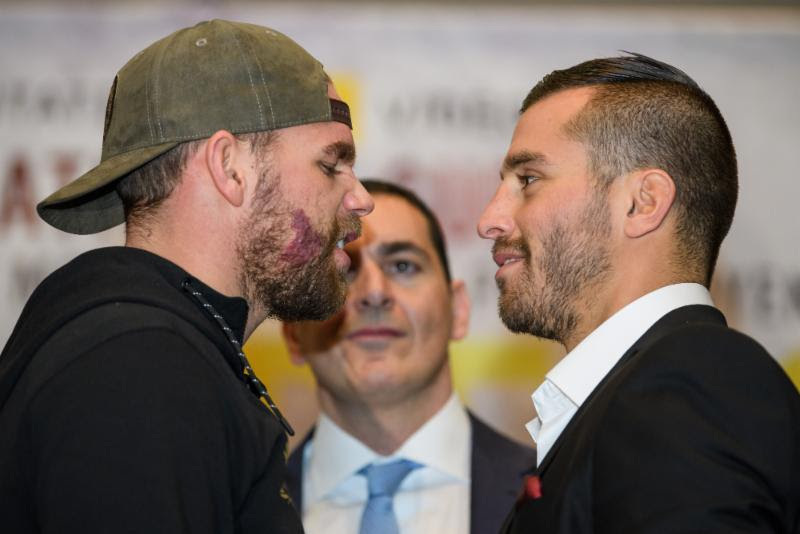 WBO World Middleweight Champion Billy Joe Saunders (25-0, 12 KOs) and former IBF World Middleweight Champion David Lemieux (38-3, 33 KOs) hosted their final press conference today for their WBO World Middleweight Championship fight that will take place this upcoming Saturday, Dec. 16 at Place Bell in Laval, Québec. The co-main attraction will be a 10-round fight for the WBO Intercontinental Middleweight title between Antoine “Action” Douglas (22-1-1, 16 KOs) and Gary “Spike” O’Sullivan (26-2, 18 KOs). Also on the televised card will be Cletus “Hebrew Hammer” Seldin (21-0, 17 KOs) who will face Yves Ulysse Jr. (14-1, 9 KOs) for a 10-round super lightweight bout. The action will be televised by HBO World Championship Boxing beginning at 9:40 p.m. ET/PT. “It’s going to be a great fight, it’s a 50/50 fight. I’ve always said that Billy Joe can walk the talk and walk the walk. Interesting analogy of Bernard Hopkins of boxing being like a book and a story. I think he is right, I’m reading the first chapter of Billy Joe Saunders. But I think we’re on the final chapter of David Lemieux. And he’s not going to have a fairy tale ending. This is a classic Bull and Matador fight. David can punch, Billy can box. And I can tell you that on Saturday, Billy Joe Saunders will be leaving the ring still WBO World Middleweight Champion.